The Médoc village of Cussac-Fort-Médoc boasts one of the most grandiose sights in the area: the 17th-century Fort Médoc, one of three fortified structures that make up “le verrou de l’Estuaire” (the bolt of the Gironde estuary), dreamt up by the military architect and engineer Vauban. 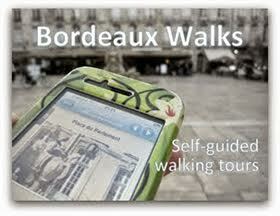 The story goes that in 1685, Sébastien Le Prestre, better-known as Marquis de Vauban, was surveying the Atlantic coast. Vauban had been appointed Marshal of France (the country’s highest military distinction) under Louis XIV and was on the lookout for any location that might undermine the Sun King’s authority. Assessing the citadel of Blaye, which had often proved vulnerable to British invaders, he established that it would have to be strengthened and that the Estuary as a whole needed to be “locked” in order to protect the city of Bordeaux, further upstream. 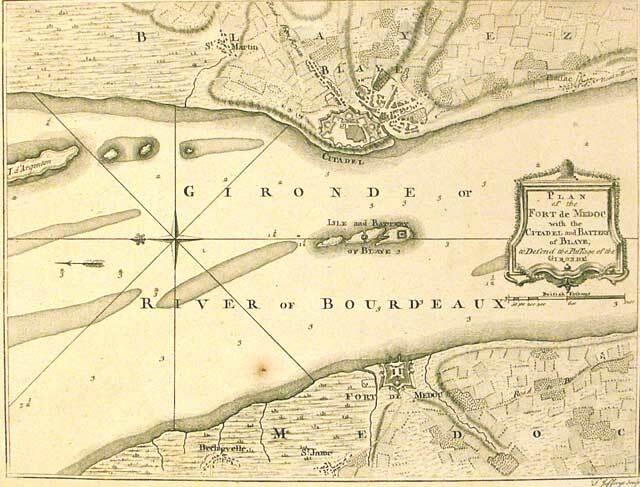 18th-century map showing the "Verrou de l'Estuaire": Blaye and its citadel to the top, what became known as Fort Pâté on the island, and Fort Médoc on the left bank (source: Archives départementales de la Gironde). The Fort covered an area which was 347 metres long and 327 metres wide, surrounded on all sides by a moat containing water from the Estuary, its level being maintained artificially by a system of locks. Today, the moat and much of the structure still look much as they must have done in the past. 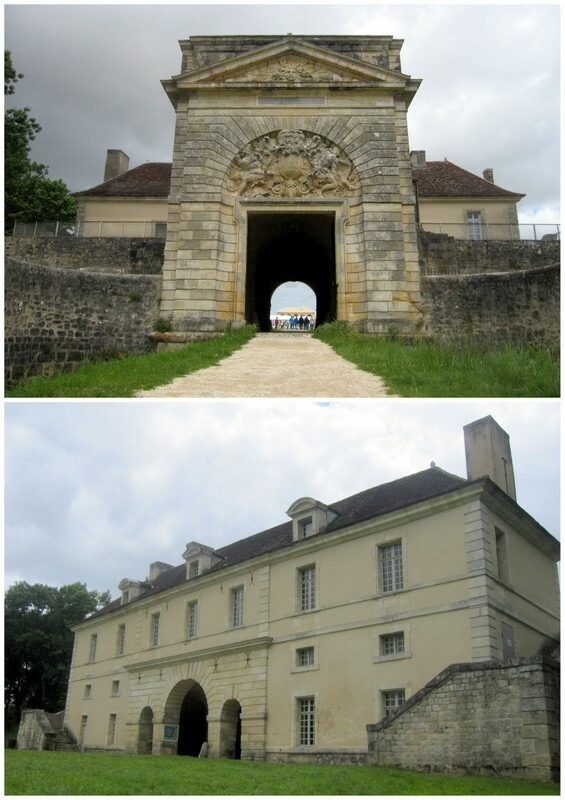 Admission is through a grand entrance (“porte royale”) that tunnels through the guard house, which would have been the residence of the commander-in-chief of the men stationed at Fort Médoc as well as providing ample storage space for weapons. Top: the fronton of the Porte Royale, featuring a homage to Louis XIV the Sun King, was the work of Pierre Berquin, sculptor and engineer by royal appointment. On the other side of the monumental gate is a wide yard flanked by buildings – some of which have been preserved or restored while others lie in ruins and wouldn’t look out of place among the remains of ancient Rome. Each building served a specific role: there were barracks (designed for 300 men), a chapel, a bakery and a gunpowder magazine. The focal point of the whole complex is the battery which strategically looks out across the water towards Blaye. The battery as seen Estuary-side, and the moat as it looks today. In addition, the structure was proving difficult and costly to maintain. The dampness of the land meant that illness was rife. Possibly out of sheer boredom, soldiers took to looting nearby properties, adding to the tension with locals which had been palpable ever since the expropriation process had begun a few years earlier. And finally, as the water was relatively shallow close to the Médoc bank of the Estuary, any boats passing in the vicinity tended to sail closer to Blaye than to Cussac meaning that the little action that did take place was way off in the distance and out of reach. Top: the "cistern" used to stock rainwater, alongside one of the barracks. Bottom: further barracks; this building comprised around 20 dormitory rooms. The stone was sold on to local builders from the 1930s to the 1950s. 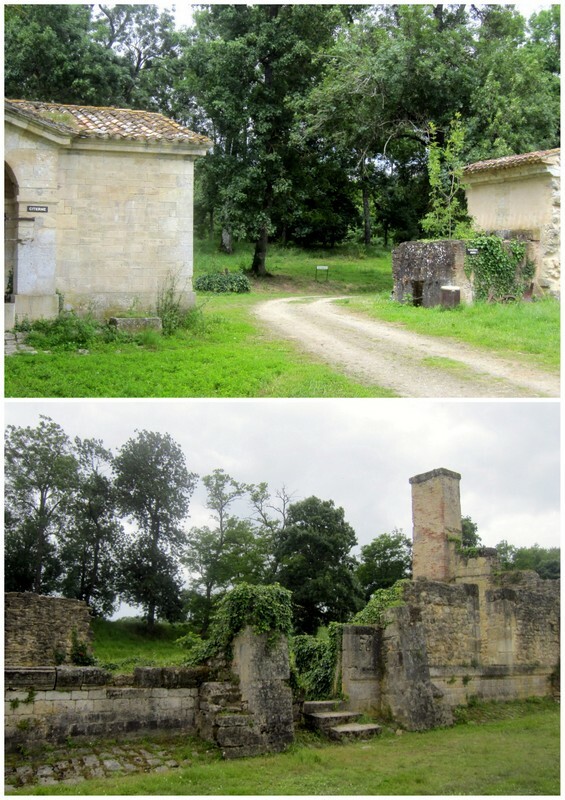 In the ensuing years, Fort Médoc retained its military status but quickly lost its lustre. By the time of the French Revolution of 1789, the Fort was manned by mainly invalid soldiers, whose only means of defence was three cannons. By the 19th century, shipping channels had evolved and boats began passing on the Médoc side of Île Pâté; Fort Médoc regained some of its legitimacy but, by now, the buildings were in terrible condition. Work began in 1816 to restore the walls, bastions, moat and locks. The Fort was living on borrowed time though. Come the First World War it was used, for a time, to accommodate soldiers on leave. Mid-conflict, in 1916, Fort Médoc's permanent garrison comprised of just six men. When they were assigned to frontline duties elsewhere in Europe, the Fort was abandoned for good. It was decommissioned in 1929 and acquired by the town of Cussac in 1930… whose first move was to use the barracks as open-air stone quarries! The chapel, the gunpowder magazine and the bakery. Over the years since then, the Fort has gradually established itself as an unusual tourist destination and was listed as an historic monument in 1956. More recently, the Fort has continued to blossom thanks to the work carried out by the town and an association known as “Les Amis du Fort Médoc” to restore and promote the site. Regular public and private functions also draw in the crowds. Another key development was the creation, in 2005, of a network that links up the fortifications designed by Vauban throughout France (12 locations including Camaret-sur-Mer, Saint-Martin-de-Ré, Besançon, Briançon and Villefranche-de-Conflent). Fort Médoc thus forms an integral part of “Le Réseau des Sites Majeurs de Vauban”, which moved up a further gear in 2008 when Vauban’s distinctive creations were listed as world heritage by UNESCO. The world heritage label is deserved recognition for this spectacular place, which may have been a disproportionate military solution to what was ultimately a minimal strategic problem, but which remains a fascinating example of Vauban's grand designs! Find it: Fort Médoc, Cussac-Fort-Médoc.